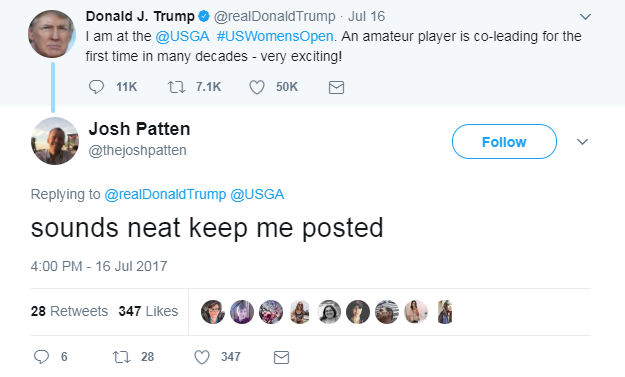 Trump is often criticized for his outrageously delusional tweets (covfefe anyone? ), but what’s most laughable about his 140 character rants are how casual they come across. I get it, tweets are a wonderful (incredible, just wonderful, truly incredible…) way to connect with the American people, but we don’t need a play by play. 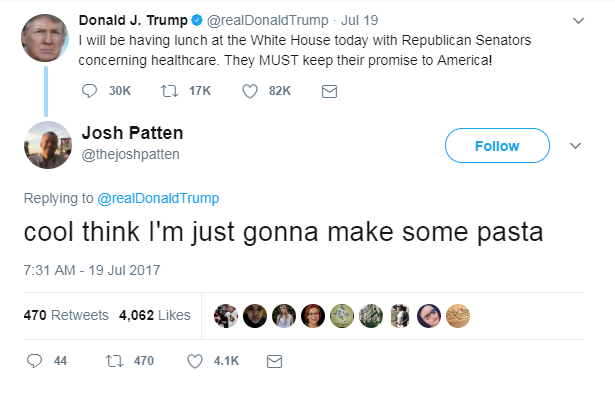 You’re not going to prove your leadership by sharing what you had for dinner (sorry, dude), but hey, at least it gives us a good laugh. 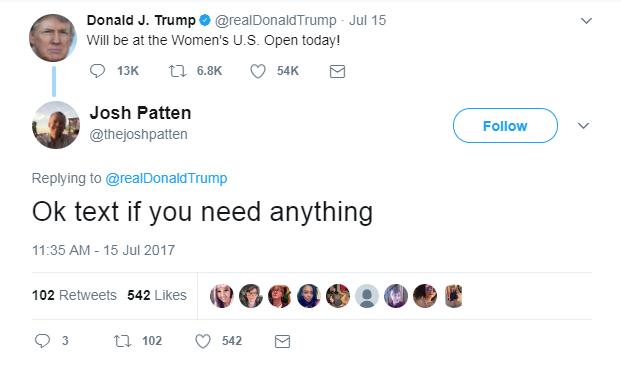 The latest and greatest in this Trump presidency is SNL comedy writer Josh Patten’s “incredibly stupid project,” Responding To Trump Tweets Like They Were Texts. 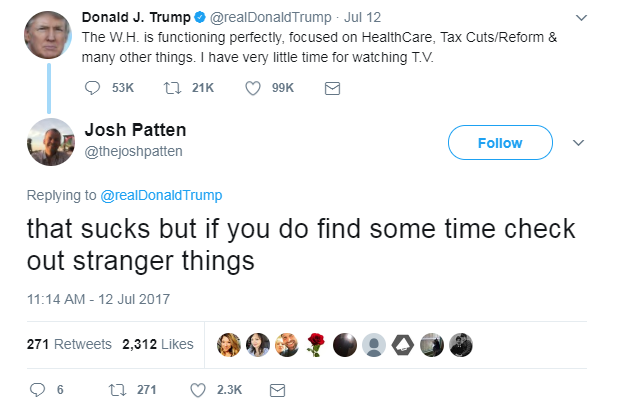 Josh, anything that can make us laugh through chaos isn’t stupid in my eyes. You’re the real hero. In all the absurdity, at least we still have comedians to keep us laughing all the way to doomsday, right? Right…. ?